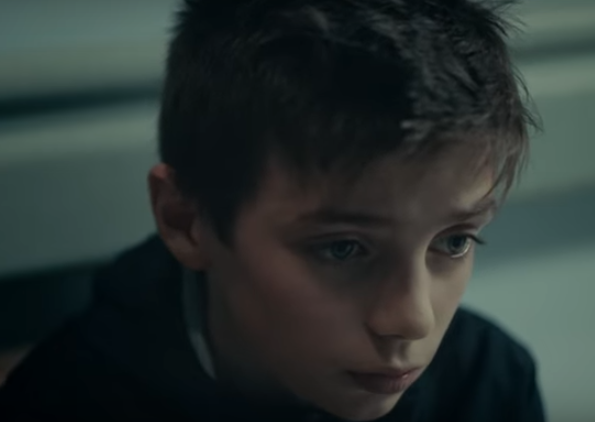 A young boy watches over his dying mother and fantasizes about better times with her in the video for Mumford and Sons’ new Delta single “Beloved.” The son and mother, who’s still wearing a hospital gown, run around, go shoplifting and ride horses on a beach. “Before you leave, you must know you are beloved,” Marcus Mumford sings against a serene backdrop of synths and guitars, “and before you leave, remember I was with you.” It all builds to an emotional finale. Thich Nhat Hanh, 92, reads a book in January 2019 at the Tu Hieu temple. “For him to return to Vietnam is to point out that we are a stream,” says his senior disciple Brother Phap Dung. “Letting go is also the practice of letting in, letting your teacher be alive in you,” says a senior disciple of the celebrity Buddhist monk and author. Thich Nhat Hanh has done more than perhaps any Buddhist alive today to articulate and disseminate the core Buddhist teachings of mindfulness, kindness, and compassion to a broad global audience. The Vietnamese monk, who has written more than 100 books, is second only to the Dalai Lama in fame and influence. Nhat Hanh made his name doing human rights and reconciliation work during the Vietnam War, which led Martin Luther King Jr. to nominate him for a Nobel Prize. He’s considered the father of “engaged Buddhism,” a movement linking mindfulness practice with social action. He’s also built a network of monasteries and retreat centers in six countries around the world, including the United States. In 2014, Nhat Hanh, who is now 92 years old, had a stroke at Plum Village, the monastery and retreat center in southwest France he founded in 1982 that was also his home base. Though he was unable to speak after the stroke, he continued to lead the community, using his left arm and facial expressions to communicate. 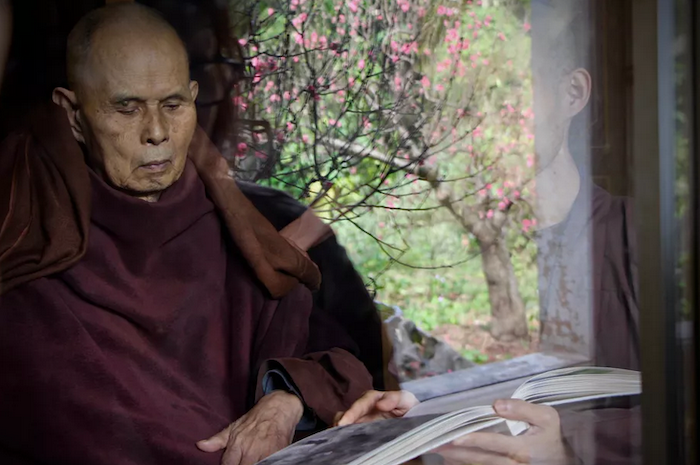 In October 2018, Nhat Hanh stunned his disciples by informing them that he would like to return home to Vietnam to pass his final days at the Tu Hieu root temple in Hue, where he became a monk in 1942 at age 16. As Time’s Liam Fitzpatrick wrote, Nhat Hanh was exiled from Vietnam for his antiwar activism from 1966 until he was finally invited back in 2005. But his return to his homeland is less about political reconciliation than something much deeper. And it contains lessons for all of us about how to die peacefully and how to let go of the people we love. Our conversation has been edited for length and clarity. 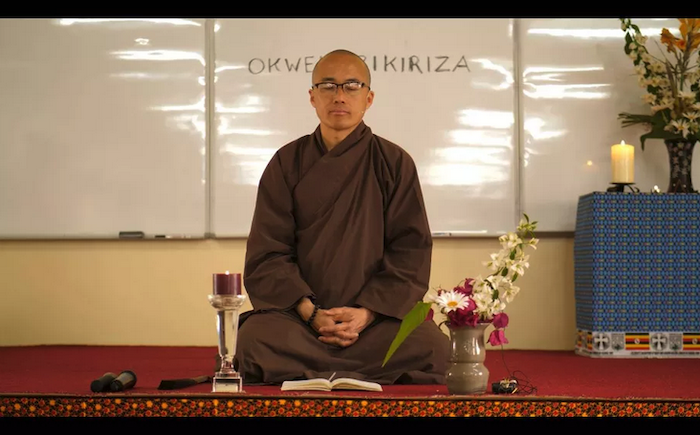 Brother Phap Dung, a senior disciple of Thich Nhat Hanh, leading a meditation on a trip to Uganda in early 2019. Tell me about your teacher’s decision to go to Vietnam and how you interpret the meaning of it. He’s definitely coming back to his roots. He has come back to the place where he grew up as a monk. The message is to remember we don’t come from nowhere. We have roots. We have ancestors. We are part of a lineage or stream. It’s a beautiful message, to see ourselves as a stream, as a lineage, and it is the deepest teaching in Buddhism: non-self. We are empty of a separate self, and yet at the same time, we are full of our ancestors. He has emphasized this Vietnamese tradition of ancestral worship as a practice in our community. Worship here means to remember. For him to return to Vietnam is to point out that we are a stream that runs way back to the time of the Buddha in India, beyond even Vietnam and China. So he is reconnecting to the stream that came before him. And that suggests the larger community he has built is connected to that stream too. The stream will continue flowing after him. It’s like the circle that he often draws with the calligraphy brush. He’s returned to Vietnam after 50 years of being in the West. When he first left to call for peace during the Vietnam War was the start of the circle; slowly, he traveled to other countries to do the teaching, making the rounds. And then slowly he returned to Asia, to Indonesia, Hong Kong, China. Eventually, Vietnam opened up to allow him to return three other times. This return now is kind of like a closing of the circle. It’s also like the light of the candle being transferred, to the next candle, to many other candles, for us to continue to live and practice and to continue his work. For me, it feels like that, like the light is lit in each one of us. And as one of his senior monks, do you feel like you are passing the candle too? Before I met Thay in 1992, I was not aware, I was running busy and doing my architectural, ambitious things in the US. But he taught me to really enjoy living in the present moment, that it is something that we can train in. Now as I practice, I am keeping the candlelight illuminated, and I can also share the practice with others. Now I’m teaching and caring for the monks, nuns, and lay friends who come to our community just as our teacher did. So he is 92 and his health is fragile, but he is not bedridden. What is he up to in Vietnam? The first thing he did when he got there was to go to the stupa [shrine], light a candle, and touch the earth. Paying respect like that — it’s like plugging in. You can get so much energy when you can remember your teacher. He’s not sitting around waiting. He is doing his best to enjoy the rest of his life. He is eating regularly. He even can now drink tea and invite his students to enjoy a cup with him. And his actions are very deliberate. Once, the attendants took him out to visit before the lunar new year to enjoy the flower market. On their way back, he directed the entourage to change course and to go to a few particular temples. At first, everyone was confused, until they found out that these temples had an affiliation to our community. He remembered the exact location of these temples and the direction to get there. The attendants realized that he wanted to visit the temple of a monk who had lived a long time in Plum Village, France; and another one where he studied as a young monk. It’s very clear that although he’s physically limited, and in a wheelchair, he is still living his life, doing what his body and health allows. Anytime he’s healthy enough, he shows up for sangha gatherings and community gatherings. Even though he doesn’t have to do anything. For him, there is no such thing as retirement. But you are also in this process of letting him go, right? Of course, letting go is one of our main practices. It goes along with recognizing the impermanent nature of things, of the world, and of our loved ones. This transition period is his last and deepest teaching to our community. He is showing us how to make the transition gracefully, even after the stroke and being limited physically. He still enjoys his day every chance he gets. My practice is not to wait for the moment when he takes his last breath. Each day I practice to let him go, by letting him be with me, within me, and with each of my conscious breaths. He is alive in my breath, in my awareness. Breathing in, I breathe with my teacher within me; breathing out, I see him smiling with me. When we make a step with gentleness, we let him walk with us, and we allow him to continue within our steps. 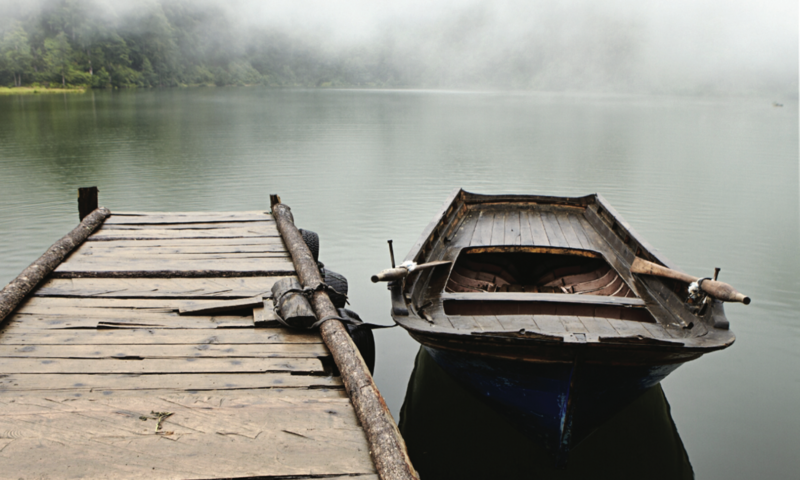 Letting go is also the practice of letting in, letting your teacher be alive in you, and to see that he is more than just a physical body now in Vietnam. What have you learned about dying from your teacher? There is dying in the sense of letting this body go, letting go of feelings, emotions, these things we call our identity, and practicing to let those go. The trouble is, we don’t let ourselves die day by day. Instead, we carry ideas about each other and ourselves. Sometimes it’s good, but sometimes it’s detrimental to our growth. We brand ourselves and imprison ourselves to an idea. Letting go is a practice not only when you reach 90. It’s one of the highest practices. This can move you toward equanimity, a state of freedom, a form of peace. Waking up each day as a rebirth, now that is a practice. In the historical dimension, we practice to accept that we will get to a point where the body will be limited and we will be sick. There is birth, old age, sickness, and death. How will we deal with it? 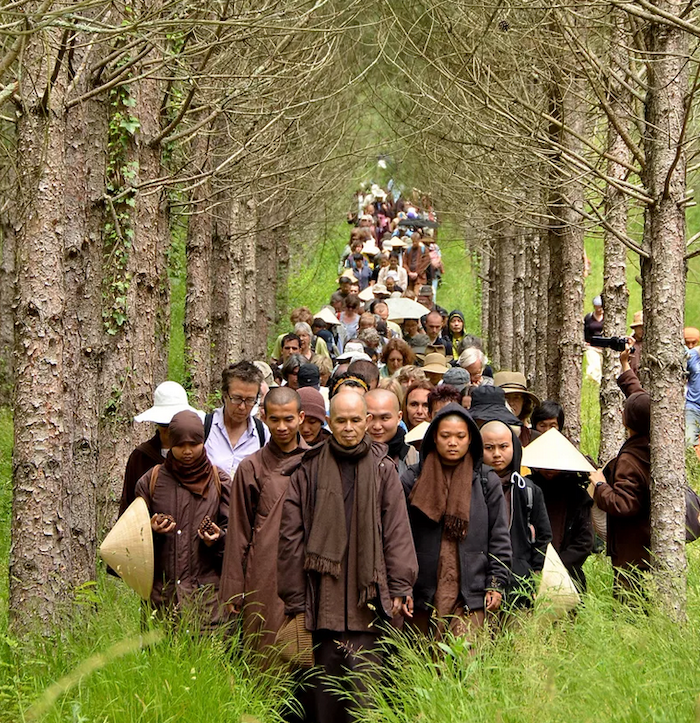 Thich Nhat Hanh leading a walking meditation at the Plum Village practice center in France in 2014. 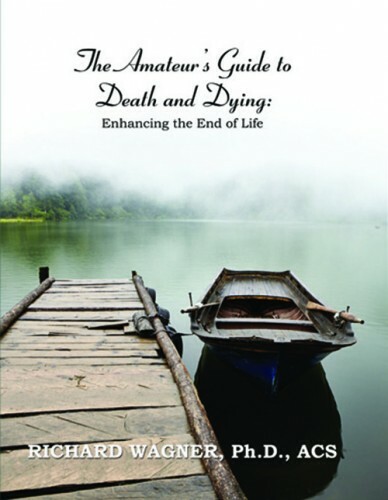 What are some of the most important teachings from Buddhism about dying? We are aware that one day we are all going to deteriorate and die — our neurons, our arms, our flesh and bones. But if our practice and our awareness is strong enough, we can see beyond the dying body and pay attention also to the spiritual body. We continue through the spirit of our speech, our thinking, and our actions. These three aspects of body, speech, and mind continues. In Buddhism, we call this the nature of no birth and no death. It is the other dimension of the ultimate. It’s not something idealized, or clean. The body has to do what it does, and the mind as well. But in the ultimate dimension, there is continuation. We can cultivate this awareness of this nature of no birth and no death, this way of living in the ultimate dimension; then slowly our fear of death will lessen. This awareness also helps us be more mindful in our daily life, to cherish every moment and everyone in our life. I drove back to my home the next day, pensive. In my kitchen that evening, I picked at a burrito I’d grabbed from a food truck down the street. I drove home starving, but lost my appetite after a few bites. Outside my window, Sunset Boulevard was a river of light, a constant stream of headlights and bike lamps, colorful blinking restaurant signs and fluorescent streetlights. In a shadowed parking lot, dark figures moved quickly toward cars. Something weighed on me, though I couldn’t articulate it precisely. I wandered around my place, sitting on my couch and moving to a chair, picking up a book and setting it down to watch TV instead. I turned the TV off and considered going to bed early. Maybe a good night’s sleep would fix my restless mind. And then a question surfaced. What if I suffered a sudden stroke, as Auntie had? Her situation had at first reminded me of my parents’ mortality, but what of my own? Perhaps this crossed my mind because Auntie and I shared a common heritage, and she had suffered a sudden catastrophic event, which could happen to anyone regardless of their age. Maybe the fact that I had faced another transition point, my last week at my first attending job, contributed subconsciously to my mind’s sudden insistence that I consider the meaning of endings. Whatever the reason, I began once again to consider my own answers to the questions I had asked my parents. I knew that I was mortal, that at some point my body would shut down.But though my rational mind knew this, sometimes it felt like mortality didn’t apply to me. I was a doctor. I was there to tend to other people’s mortality. I thought back to all the years I’d clung to the idea of delayed gratification, the times when I’d put my life on hold until I’d completed an educational milestone. If I persisted in my studies, I’d told myself countless times, I’d someday have all the time in the world to enjoy life. I panicked now as I considered what my life would mean if it ended tomorrow in an accident. What had I learned about death in doing this work? I’d seen that no amount of considering or preparing for it made it easy. 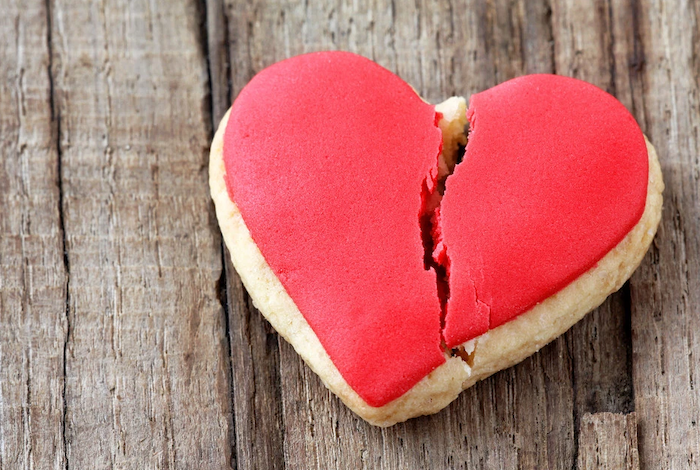 Talking about it to prepare frightened loved ones, saying or writing good-byes (if one was lucky and lucid enough to do so), and trying to make peace with a higher power might soothe us and help us. We feared it and sought to control every aspect of it, even considering physician-assisted suicide to give us a sense of agency over an unconquerable aspect of human existence. But if death was not only a medical fact but also a spiritual and sacred passage, then it would always have a certain mystery that was perhaps worth accepting rather than attempting to control. Because we can’t control it. We can’t always anticipate or prepare for it. What we define as a “good death” may not be in the cards for us. But maybe we can use the inevitability of death to live differently. Maybe we need the promise of death to guard against taking life for granted. I thought back to the many times I feared death as an outcome for my patients, convinced that it was my job to forestall it, to control and manipulate nature. Giving death this much power distorted my view on life—my own, and that of my loved ones and patients. Fighting and fearing death obscured finding meaning in living moments. What if I regarded my own death with reverence instead of fear? I wondered. Or, even more radically, what if I had some sort of gratitude for the transience of my life? Would it change what I worried and cared about? Wasn’t it necessary to think about this when I was in the midst of building a life? Or rather, living my life? And the more I thought about mortality and what it had come to mean to others and what I thought it meant to me, I realized that life was simultaneously so vast and so small. It was daybreak after a good sleep and exhaustion as the stars emerged. It was the first crisp bite of an apple, the taste of butter on toast. 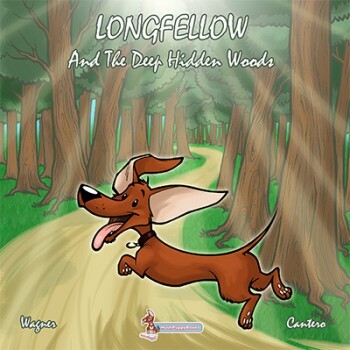 It was the way a tree’s shadow moved along the wall of a room as the afternoon passed. It was the smell of a baby’s skin, the feeling of a heart fluttering with anticipation or nerves. It was the steady rhythm of a lover’s breathing during sleep. 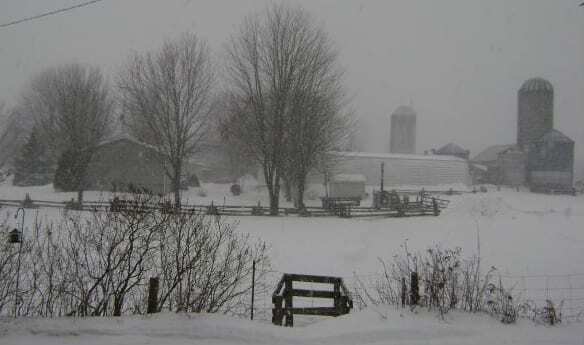 It was both solitude in a wide green field and the crowding together of bodies in a church. It was equally common and singular, a shared tumult and a shared peace. It was the many things I’d ignored or half appreciated as I chased the bigger things. It was infinity in a seashell. I thought and thought that night, making mint tea and taking a few sips, watching the steam rise from the cup and then disappear. It felt strangely calming to focus on the cooling of heat, to appreciate the fact of temporary warmth. Maybe this, too, was the lesson of mortality: appreciating what we have now, in the midst of life, knowing that it is all a temporary gift. I didn’t want the sum total of my life to be only a collection of my worldly achievements, boxes of degrees, and lists of patients I’d treated. I thought of what I had pushed off or considered unimportant, the things I promised myself I’d do when I “had the time.” I’d call the friend I had been meaning to call for the past year since I moved to LA. I’d take my mother to the beach in Santa Barbara. I’d take a pottery class. I’d write regularly to my uncles in Mumbai. I’d learn to cook Thai food. I’d adopt a puppy. I’d deal with my fear of bugs and go camping. These all seemed like such cheesy wishes as I thought about them. But these were the things I didn’t want to leave my life without doing. Which meant they weren’t small things. No matter how strongly you ascribe to the universal delusion that you can avoid pain and only have pleasure in this life (which is utterly impossible), sooner or later you must confront the fact of your inevitable aging and eventual death Therefore, because death stirs people to seek answers to important spiritual questions it becomes the greatest servant of humanity, rather than its most feared enemy. And there it was—the life lesson, and the death lesson. Vast and small, interlinked. Infinity in a seashell. 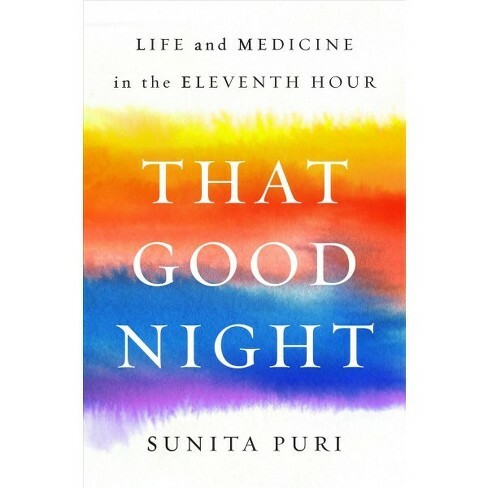 Adapted from THAT GOOD NIGHT by Sunita Puri, published by Viking, an imprint of Penguin Publishing Group, a division of Penguin Random House, LLC. Copyright © 2019 by Sunita Puri. Even for an unwavering nonbeliever like myself, a couple of days last week were very close to a religious experience as we watched my wife’s mother, Ruth Aylward Pommer, 87, pass from this life into what she so fervently believed would be glory in the next. Observing the initially distressful but finally serene end of a purposeful life robustly lived was both moving and humbling, a replaying of nature’s endless symphony of life and death far beyond any human capacity to halt or reverse it. Reality in perpetually unstoppable motion. I come from a small family, but Ruth’s extended clan is relatively vast, so it was a beautiful and compelling thing to see the legions of daughters and sons, grand-kids and great-grandkids and great-greats, other relatives and friends filter into the room to hold vigil, voice rosary prayers, tell stories, and say their final good-byes. It was particularly magnificent to see Ruth’s children closely arrayed around her bed, eyes red with anguished concern, stroking her hair, dabbing her brow, whispering soft encouragements into her ears, carefully watching her for signs of pain or distress so they could immediately do what was required to ease it. This is love expressed in its deepest, most primal, most authentic form. Although I have spent long hours reading and writing about the unsubstantiality of supernatural ideas, as Ruth slipped quietly away I still realized once again what I already knew — that spiritual yearning is as universally human as rage against injustice. And it is powerful. So powerful. When the kindly young priest from Ruth’s small farming community delivered the words of last rites in respectful, gentle tones, and anointed her forehead and palms with holy oil, it felt ancient, almost primordial. It felt natural to embrace any ritual, any hope that would make this not a sad end but a beginning of something profoundly better. For many people, few things in life are as terrifying as its end, and the attendant possibility of immortal nothingness, or, worse, endless suffering. This is why most Christians, including, as Ruth was, Catholics, focus their lives on not displeasing God and improving their chances of being heartily welcomed by St. Peter in Paradise one blessed day. I get it, especially after this past week, after seeing fervent faith up close in ways I rarely do, at a time of great angst and sadness over the passing of a woman much loved and honored in her lifetime. Even I mourn the end of her life in a personal way. Aside from the courtesy, respect and kindness she always showed me, the big-city alien grafted onto a small farming town by way of a happenstance meeting with her daughter in a far-away land, she also gave me another treasured gift: acceptance. From the beginning, she went out of her way to make me feel part of the large family she headed. So, there I was at the end of her life, a most secular fellow in the midst of a most religious tribe, and I must say, it was terribly moving. The funeral service in a breathtakingly lovely community church was fittingly transcendent, with its respectfully hushed tones, the great-grandchildren singing “Amazing Grace” in the choir loft, the candles and incense, readings from Ecclesiastes (“To every thing there is a season …”), the well-said sermon that honored and treasured Ruth’s long life. People came from far and wide to attend, some driving for days to reach the church. And there was comfort food in church halls after the wake and funeral service and then the burial gathering the following day an hour away, where she was to be laid to rest with her husband. Food is part of the ritual of human passing, where pleasure and pain, good memories and sad immediacies, converge for sustenance of those who have been left behind. As I went through this process, though from a further emotional remove certainly than Ruth’s immediate family, I still appreciated the essential value of such loving rituals and heavenly yearnings in helping survivors move on and face their next existential challenge. I tried to not focus on the reality that these painful passages also can bring out the worst in us. So, although nonbelievers can often be antagonistic toward faith, I am reminded that it is pointlessly unkind and destructive to ever denigrate something so visceral and nurturing to people’s lives, whatever one’s philosophical differences. I was thinking last week, as I waited patiently with others for the inevitable, that at such times theology and religious doctrine seem irrelevant, even as they precisely structure the final proceedings of a life lived out. What matters is love, remembrance and, as necessary, forgiveness. Dr. Steve Hadland learned over time to appreciate the “majesty and mystery” of death. Dr. Steve Hadland began his medical career as an emergency room physician, fixing people and saving lives at all costs. These days he treasures his work as a hospice physician associated with Hospice of Petaluma, tending to the terminally ill and allowing them to die in comfort. Two extremes, one might say, but understandable given the intervening events in his life. Steve’s practice melds a deep belief in social justice, reverence for life in all forms and enduring, self-described conservative views about end-of-life practices. His youthful face and genial manner, combined with an easy laugh and a soothing voice, belie the depth of his thinking, intellect and perceptions. He is informed not only by medical writings but also by psychology, literature, philosophy and classical music. One feels both calm and welcome in his presence. Steve was the youngest in a conservative family growing up in Chicago. He attended university in Iowa City, studying astrophysics as a stepping stone to an astronaut program, and later majored in neuroscience. “University was a political and social awakening, as well as an intellectual one,” he says. He participated in marches and protests against the Vietnam War and for civil rights. He longed to break out even further from his roots, however, and what better place than California, where “legend loomed for surfing and blondes.” He never quite managed the surfing thing, but wasted no time marrying his first wife, a blonde, during the summer of love, which coincided with his first year at Stanford Medical School. Their marriage of seven years included major involvements in the civil rights, anti-war and human potential movements. Steve’s first job out of medical school, in 1972, was in a Kaiser emergency room. The nurses recognized his empathic nature and would steer the most difficult patients his way. Yet he recoiled at the Herculean efforts by staff to revive a dying patient, “all the excitement, the IVs,” and how quickly and “disrespectfully” staff abandoned a corpse when resuscitation efforts failed. At the time, there was no such thing as “do not resuscitate” or hospice. 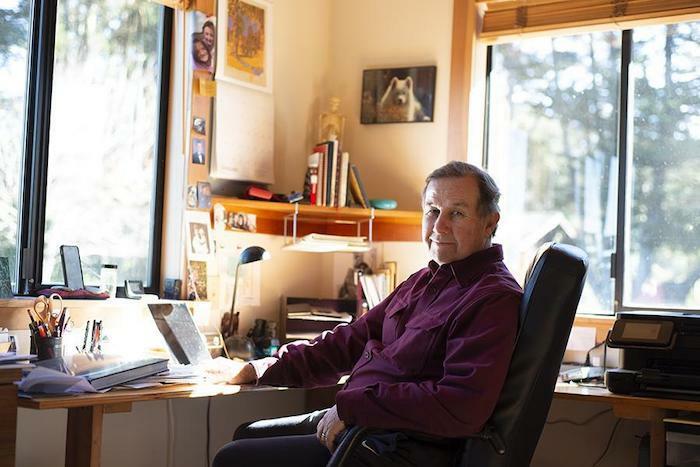 Steve sought a different kind of medical experience and, in the fall of 1974, he arranged an interview with Dr. Michael Whitt in Point Reyes Station. 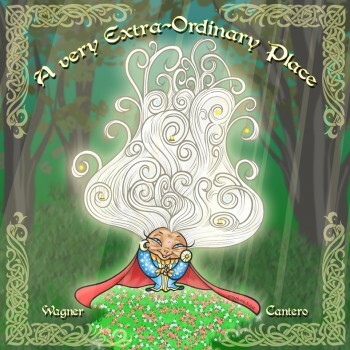 He remembered the area from a drive many years before; “It cast a spell on me,” he says. Dr. Whitt’s liberal medical practice included home births, which at the time were popular in alternative communities, but Steve was stunned that he would deliver babies without liability insurance. Steve’s conservative orientation and lack of maturity led him to decline a job offer by Dr. Whitt but, many years later, he would run a small integrative medical practice and pain management clinic out of his Point Reyes Station home. Ironically, he never secured liability insurance. “The influence of West Marin,” he quips. Newly divorced in 1978, Steve encountered a single mother of three from Holland who was working as a Kaiser receptionist to pay her way through nursing school. They married two years later and, after 38 years, “it looks like it’s going the distance,” he says, laughing. Anneke van der Veen became an emergency room nurse, but they never worked together professionally, realizing the potential pitfalls of mixing business with pleasure. As society’s views about death and dying dramatically changed over the years, so clearly have Steve’s. Fifty years ago, death was a taboo subject and doctors rarely broached it with their terminal patients or even gave them an honest diagnosis. Now people take advantage of many choices, like refusing to eat and drink or using lethal medications now sanctioned by law. In California, the End of Life Option Act allows a patient to self-administer a lethal cocktail, but only after being judged by two physicians to be of sound mind and six months from death. Some people object to the strictness of this law, which does not allow someone to assist in a patient’s suicide if the patient is physically or mentally unable to self-administer, even if it had been the patient’s expressed wish. In some states such assistance could be considered euthanasia or even murder. Steve agrees with this self-described conservative view. “I don’t think it’s a bad thing; we don’t know what’s going on [inside their head]” or what kind of life these patients, some with Alzheimer’s and dementia, might have that we cannot fathom, he says. Surprisingly for a hospice worker, he was still opposed to the law when it was passed in July 2017, because “it’s a slippery slope.” How slippery? He cites a law in the Netherlands that now allows not only terminally ill patients but also depressed people to legally receive the fatal cocktail. Today Steve appreciates what he calls the “majesty and mystery” of death. Along with survivors, he participates in ancient rituals—“beautiful ceremonies” like washing and dressing the body—and finds it deeply humbling. Steve is a spiritual man. He is influenced by the teachings of Jean Klein, a European who had an awakening in India. Although it is difficult to summarize Klein’s ideas, one important teaching is, “I am not identical with my thought process.” Steve believes that most of what one knows can be understood through other means, “coming from the heart and a sense of pure being.” This understanding has given him confidence to communicate with a dying person without words. “There is something in me that I know will make a difference. I am not anxious or worried, and am not in my head,” he explains. About society’s recent openness to discussing death and dying, Steve cannot be more positive. It used to be, “If I don’t talk about it, it won’t happen.” The effect of the hospice movement has been to “lift the lid about frank, open discussions about death and dying. It helps people plan and frees them from living in a false reality, or a web of lies,” he says. Naturally, one so intimate with death has opinions and thoughts about what awaits us all in the end. And what is the best death, to go quickly or to linger for a while? Not surprisingly, Steve believes that for himself, the ideal death would be when you know it is coming. “You get to finish your life, and say your goodbyes,” he says. Steve also believes in a “continuity of consciousness.” This idea came to him intuitively years ago, after the death of his beloved dog, Misha, whose picture is prominently displayed on his office wall among other family photos. He tells this story, choking back tears. 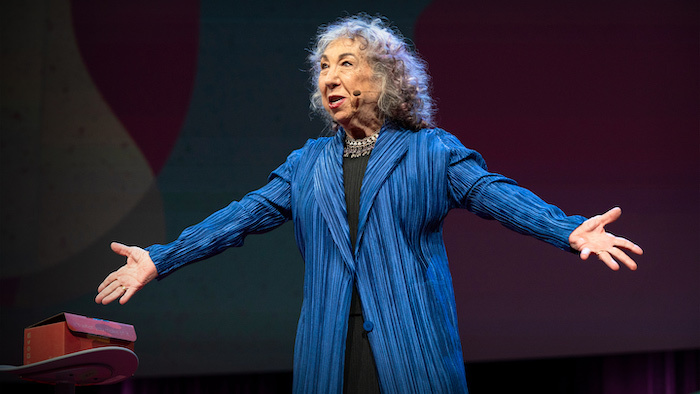 The answer might seem simple, but in the hands of Lesley Hazleton, the question takes us on a surprisingly humorous and thought-provoking journey into what it would actually mean to live forever. And whether we’d truly want to. A frequent TED.com speaker and ‘Accidental Theologist,’ Hazleton uses wit and wisdom to challenge our ideas not only about death, but about what it is to live well. 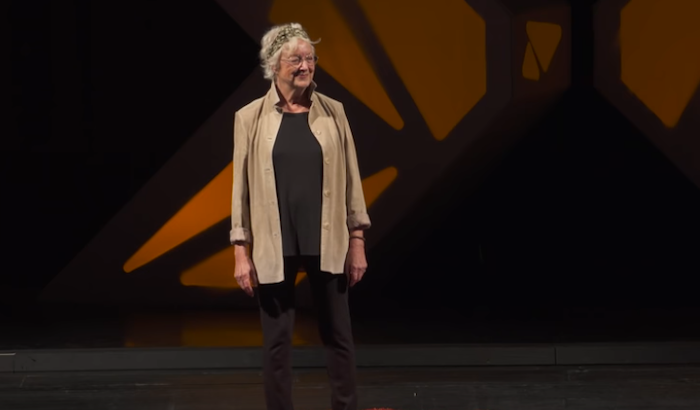 Lesley Hazleton has traced the roots of conflict in several books, including compelling ‘flesh-and-blood’ biographies of Muhammad and Mary, and casts “an agnostic eye on politics, religion, and existence” on her blog, AccidentalTheologist.com. Her newest book, Agnostic: A Spirited Manifesto, celebrates the agnostic stance as “rising above the flat two-dimensional line of belief/unbelief, creating new possibilities for how we think about being in the world.” In it, she explores what we mean by the search for meaning, invokes the humbling perspective of infinity and reconsiders what we talk about when we talk about soul.